Pepsi’s Battle of the Bands returned on Sunday after 15 years to bring the band culture back in Pakistan. 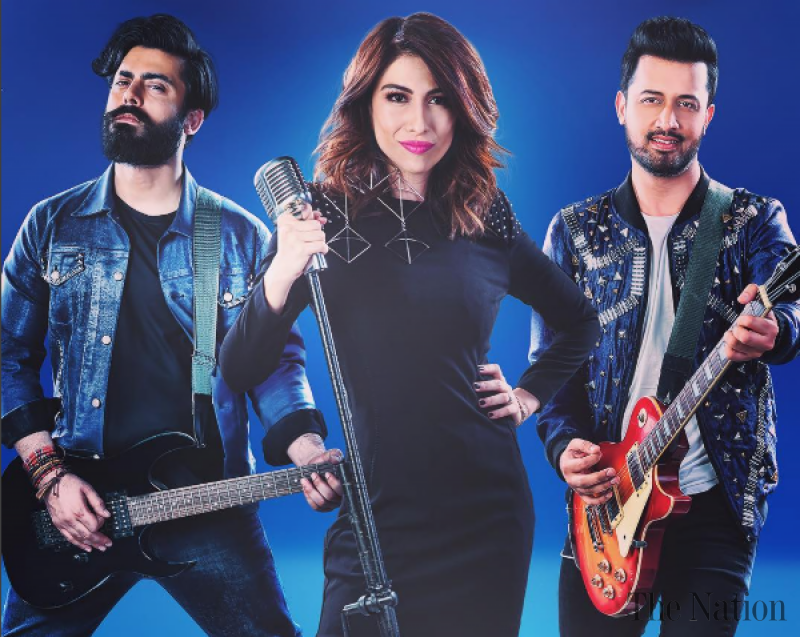 Ever since a short teaser of the show was released two weeks ago, music enthusiasts had been anticipating the comeback of heartthrob Fawad Khan as a judge, who left the music industry back in 2012 to focus on his acting career, together with biggest stars of the country Atif Aslam and Meesha Shafi. To top it off, the show is hosted by the multi-talented Ayesha Omar. The first episode was aired on July 30 with the guest judge Farooq Ahmed, the lead singer of the band Aaroh, on the panel. The judges auditioned underground bands from all around the country and the first episode showed a handful of performances by them. The stage rocked with scintillating performances with strong vocals and youthful energy that not only makes the show a delight to watch but also reflects the sheer talent of our country which is the prime motive behind Pepsi Battle of the Bands. While some of the bands paid tributes to veterinary music artistes and band, some of them performed their original songs. Bari the Band-comprising of two members- performed ‘Yaarah’ by Aaroh and Kashmir played ‘Hamesha’ by eP. Bands such as Naqsh and Shajr had strong lead female vocalists which came as a pleasant surprise for the audience. Madlock, Aura and Soul Aesthetics performed their enthralling originals and OB Positive performed ‘Aitebaar’ originally sung by Vital Signs. The first episode showed how the judges focused on grossly distinct aspects of the performances. Fawad Khan preferred to acknowledge the raw live energy on stage while Meesha Shafi’s focus remained largely on vocal quality. Farooq Ahmed offered technical help to the bands as a well-nuanced musician who was more concerned about improving the sounds further. It has been revealed that from time to time, Atif, Fawad and Meesha will perform original songs composed for the show. We are eagerly waiting to see which band bags the coveted winning title to embark on a successful music career as the show promises.